Tessa Wesnitzer Archives « Breastfeed.Babywear.ClothDiaper.Naturally! Breastfeed.Babywear.ClothDiaper.Naturally! Air travel for some is already an arduous process before you add in traveling with pumped breast milk and breast feeding supplies like pumps and coolers. There has been a lot of news in the last few years regarding the problems that many mothers face going through airport security. After a 2011 lawsuit against the Transportation Security Administration that ended in 2014 with a payout of $75,000 to the traveling mother, TSA agents were retrained and required to follow strict standardized protocol. But just this past April, a British mom was forced to dump 500 ounces of breastmilk–enough to feed her baby for two weeks–at her gate before boarding a plane at Heathrow. Her frustrated Facebook post recounting the incident was shared more than 4,000 times. So although it is legal to take your pump and frozen breastmilk on your flight with you–whether your baby is with you or not–the more informed you are, the better your chances of making it home with your stash intact. Prior to leaving, decide how you are going to store your milk. 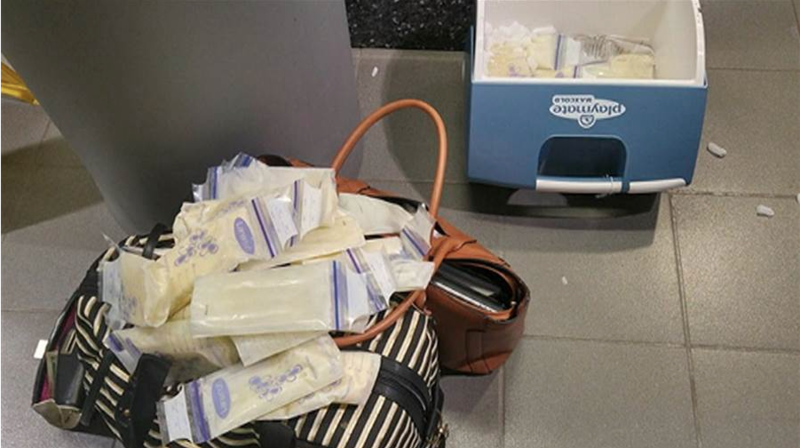 Breast milk that has been previously pumped into breast milk bags, then stored in insulated coolers, seems to be the most popular way to carry-on. A lot of moms recommend portioning the milk for feedings and making sure to leave an inch at the top of the bags for expansion that can happen at high altitudes. You’ll want to be sure that you immediately store the expressed milk from your trip in the coolers and then transfer to a freezer as soon as possible. The milk that is stored in a cooler with ice is good for 24 hours. Another good tip is to use the pumped milk from a trip first because it hasn’t been stored in a deep freezer. When approaching security with your liquid gold remember to separate the breast milk from the rest of your carry-on items when it is over 3.4 ounces. Also notify the TSA officer prior to the start of your screening. Just like the formula and other liquids, the items are typically X-Rayed. The sooner the screening officer knows that you are carrying on breast milk, they can pull the cooler out and continue with liquid carry-on protocol. Officers use X-ray to test for explosives and other items that are prohibited, including all liquids. If you don’t want the milk x-rayed, you must tell a TSA agent so that they can take additional screening preparations, such as enhanced pat downs and searches. Although the FDA does stress that there is no known risk of X-Ray, if you’re concerned about the potential risks, don’t feel bad about speaking up. TSA agents should be well versed in backup methods of screenings and it is your right to refuse. It might seem like overkill, but it can be very handy to have a copy with you of all the specific policies and instructions on carrying breast milk. These policies can be found at the TSA website. Not a well-known rule, but TSA requires that your ice packs and cooler bags be x-rayed if they become slushy or melted, just as other liquid carry-ons. In addition, only passengers are technically allowed to open and close bottles. If you are worried about sterilization, or the way that your breast milk is being handled, ask for a security manager. Tessa Wesnitzer is a mom to 2 crazy boys, a lover of snow, sleep, and seriously large iced teas. The Toddler Birthday Gift Registry–Do or Don’t? Recently, some of my extended family has started to use gift registries for their kids for major holidays. I’ll be honest, the first time I got an email asking to purchase from the list at a specific retailer, I cringed. The traditional part of me just could not get on board with offering formal gift suggestions. I mean, wasn’t that being a bit presumptuous? But by the number of people who use them now, my guess is there not a lot of stigma around using them. Gift registries of the past were primarily used for weddings and baby showers, but in the last few years that has grown to include kids’ birthdays, Christmas, and special occasions. Thanks to retailers like Target, Toys R Us, and Amazon it is easy to create kid wish lists for a multitude of special occasions. The next time your child brings home a birthday invite, don’t be surprised to find a link to the gift registry site or information on how to access the registry at the store. 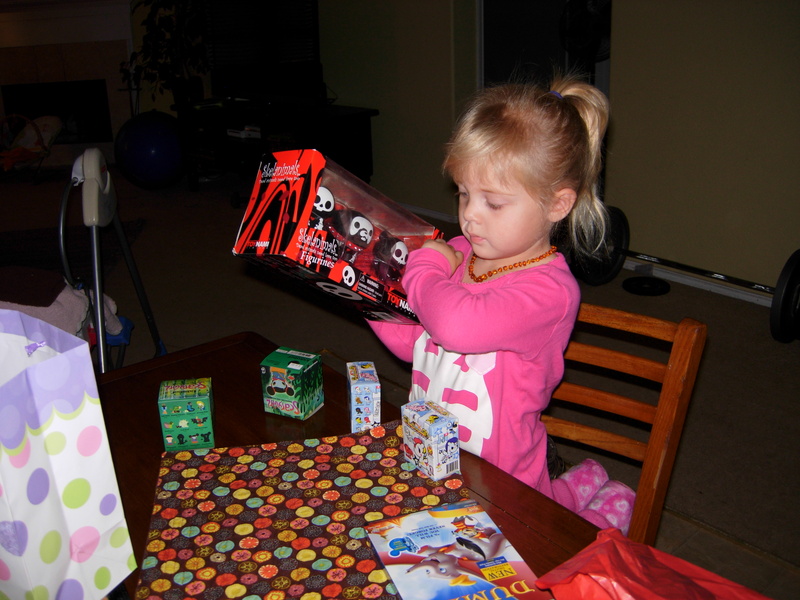 Here is a list of pros and cons of gift giving registries for your kids. You won’t receive multiples of any one gift. Having a registry can alleviate the chance that your child receives the same item and this will save you from the hassle of returning the duplicate items. Once the item on your registry is purchased, it falls into the fulfilled category and is no longer listed as available. Friends and family who live far away may not know the child very well. 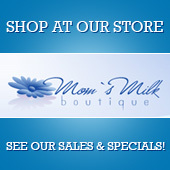 With the help of a gift registry, they can choose a gift that they know will be well received. This is especially helpful for aunts and uncles or other extended family who wish to send a gift in lieu of money. Older family who may not be in touch with the “hip” items for kids can use the registry as a guide. This is a bonus for grandparents and can help alleviate unnecessary time looking for a gift. 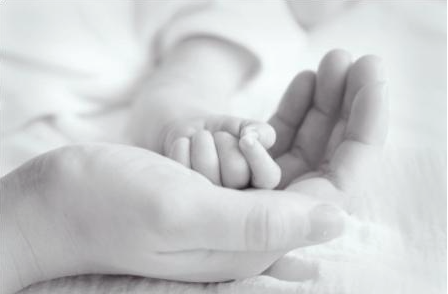 There are perks for parents who set up the registry accounts. Most retailers offer a percentage off of the items that are left on the registry after the closing period. This can save you money on items you were thinking of purchasing, maybe even for gifts to give at a later date. It can seem presumptuous. There is no way to tell if everyone who you extend the gift registry information to, wants to give your child a gift. It can make people feel like they are “forced” to give a gift that is out of their price range or not what they would have chosen. It can also put added pressure on the gift giver, making them feel awkward if they didn’t chose to purchase something from the list. Having children pick out gifts themselves takes away from the surprise and can give children a sense of entitlement. Even after all of the evidence towards the convenience of registries, I haven’t been converted yet; I still tell family that my kid would like “anything”. But, I do have a better understanding of why people use them. At the end of the day, the method of gift giving is a personal decision, just like the gift itself. Children are typically just elated to receive something that was chosen with them in mind. Tessa Wesnitzer is a stay at home mom extraordinaire, an organizer, and lifestyle coach who lives in Salt Lake City with her husband and two boys. I had written a funny post earlier today about the trials and tribulations of motherhood that I planned to submit for this article. It was mostly complaining about the everyday things you routinely see us moms complain about; lack of sleep, the regular cacophony of whining, lost shoes and arguing about hairstyles. Then we heard some devastating news that a family we knew was experiencing their child’s relapse with cancer. It really broke me down. This awful thing, this could happen to any family and it happens to so many families. Mothering, at the core, is just a permanent state of vulnerability. And with vulnerability there is worry. There is so much worry. No one can properly articulate the level of pure unconditional love or amount of worry you will feel when you give birth; you have to experience it. There are no comparisons. It is not like the love of a pet. It is not like the love of a spouse. Motherhood is so much more of all your feelings. You worry about providing them with guidance, their health, where and how to raise them, if they ate enough veggies today. You worry about how they treat others, if they’re reading fast enough, if they get enough sleep. You worry about them riding in cars with other people, if you’re doing enough, or maybe doing too much. In motherhood, there is so much concern. As a Mom, you give all of yourself unselfishly for a lifetime; your heart, your wisdom, your time. You pour it all into these tiny bodies. Then, you pray. You pray, and you pray, and you pray. Please keep them safe. Please keep them healthy. Please let them grow into compassionate, intelligent adults. We pray that we may never have to exist on this earth without them. The selflessness you feel becomes an everyday love letter to your children; there is nothing you wouldn’t do for them. And in between all of that fretting, life goes on and you cherish this tiny human you agonize so much about. You snuggle them tight, you soak in the smell of them after a bath, you experiencing your childhood again through their eyes. You watch them grow. You laugh. You laugh so hard and you realize that it is all worth it. Motherhood is worth all of the vulnerability and all of the worry. Tessa Wesnitzer is a health and wellness coach who lives in a suburb of Salt Lake City, Utah. She loves her husband, two boys, green tea, long runs, and snowy winters. I remember my younger spring break days…road trips, margaritas, suntans and days spent at the beaches. Spring Break as a parent usually includes a few kids in tow, a whole lot of luggage, and even more planning. Spring Break with kids is different; but it can be just as great! Here are some key tips for traveling with wee ones this Spring Break. Choose a destination that is NOT synonymous with Spring Break. Plan ahead and research the beach areas that are known for loud and rowdy college students and AVOID them. Cancun, Cabo San Lucas, South Padre Island, and Miami Beach are all well-known college spring break locales. Not only are they typically much more expensive during peak seasons, they are also more packed and rowdy. Plan ahead and check out exclusive park tips prior to your stay. If you are going to Disney, Disneytouristblog.com and Mousesavers.com are great resources for park coupons, current happenings, and local attractions that are going on around the park. If you are eligible for a military discount, you can look up Military discounts listed by park. If you want to stay close to the park but not at the actual resort, Airbnb can offer homes and apartments that are usually a walkable distance to the entrance. Vacation rentals can be cheaper than resorts and have full kitchen accommodations so you don’t waste money buying expensive meals at the park. 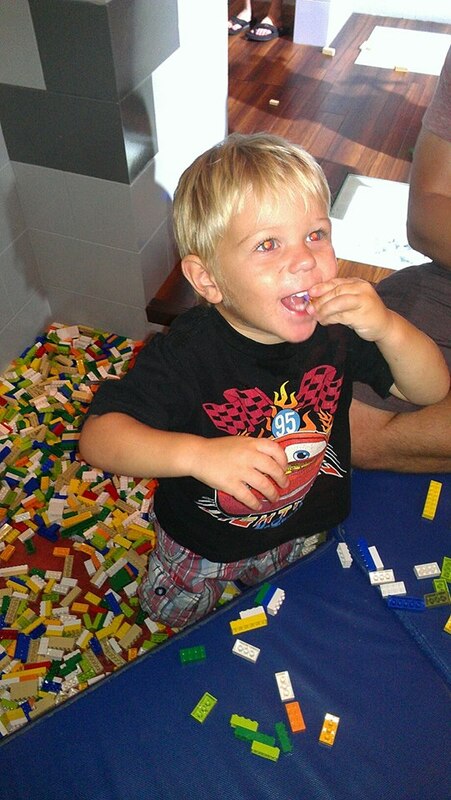 If you are nursing or have a child in diapers, Disney and Lego amusement parks offer pretty incredible nursing and childcare rooms. Some of the accommodations include rocking chairs, privacy curtains, private changing areas, high chairs, microwaves, refrigerators, bottle warmers and emergency diapers and wipes. I have used both the LegoLand and the Disneyland nursing rooms and I cannot say enough great things about them! It really made it feasible for our whole family to go to the parks when we had a young one in tow. If you’ll be staying with people that aren’t equipped for small children, there are many different companies that rent kid supplies. A few years ago we stayed with a family friend in Malibu when my youngest was 8 months. We rented a high chair, crib, crib sheets, and even toys for an entire week, all for a very reasonable rate. If you don’t have to check extra bags when flying, renting can actually save you money. We used Baby’s Away and the delivery and set up was included in the fee! After a long flight, it is a real stress reliever to have everything all prepared at your destination. Every family should have a predetermined meeting place to go if you get separated, like the ticket window or park information booth. Make sure to talk about your strategy with your child so they know the plan. Some families even use hospital ID bracelets on children to write pertinent information, such as your phone number, in case a child is lost. If you are staying at a hotel, you can also tuck a hotel business card inside your child’s pocket so they know where they are staying. No one wants to think about getting separated from their loved ones, but it is always best to be over prepared. Over the next month, we will be doing a three part series on fostering. According to childrensrights.org, on any given day, there are more than 400,000 children without permanent homes in the United States. Of those children, most of them will remain in the State’s care for over two years, some for much longer. Each of these families has a unique and impactful experience. Anne’s husband works in computers as an Operations Engineer while she works part time as an aid at their children’s school. They love to travel, are big foodies, and enjoy kayaking. 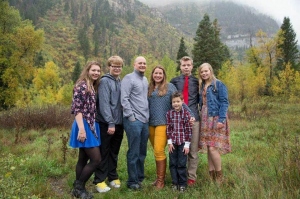 Their adoption journey took a surprising turn 4 years ago when they went from wanting to adopt a baby to fostering a sibling set of five, 3 boys and two girls, that at the time ranged in ages 5-13. The children lived with the Gross’s for six months before they officially joined the family through adoption on March 13, 2012. The Gross’s are now advocates for adoption and keeping sibling sets together. How did you first get started with fostering? My husband and I were approved and on a waiting list with a private adoption agency to adopt a baby. We even had nursery ready to welcome our new bundle of joy. Then we happened to sit in on a meeting about foster care. Here we were on a waiting list for a baby when thousands of older children are on a waiting list for a forever home. We immediately removed our name from a waiting list for a baby, donated our nursery full of baby stuff, and signed up for foster classes. This felt right. Our hearts felt peace and we knew we were on the right path for our own personal adoption journey. Two weeks before our foster care classes were over, our licensing worker called and told us about a sibling group of five that had a close knit bond. They longed to be adopted together. Our hearts exploded with love for them the moment we saw their photos. We had found our children. What qualities do you and your family possess that make you good foster parents? I would say unconditional love, structure, as well as patience and understanding. It is a process for everyone to find that new normal. It takes time. We also had to set realistic expectations. What did you/do you find most challenging? Our kids are really resilient and amazing! I think as parents we had a harder time adjusting. We definitely had moments where we felt spread thin at times; they were so eager to feel love and meeting 5 kids’ emotional needs can be a challenge! The cycle of grief is real. Triggers happen. What have you found most rewarding? Raising 5 kids has made our dreams come true! We may have missed some of the kids “firsts” but we have experienced other “firsts” like getting their driver’s license, their first kisses, being able to give them experiences at nice restaurants, first plane ride, first trip to Disneyland, first fishing, camping trip, the list goes on! What were your biggest concerns prior and have those concerns been managed or have they just changed as you’ve gone through the process? Josh and I were nervous as certain issues came up with each of our children. They have been through hell and back. Having a good therapist is a MUST! We wouldn’t have been able to deal with the issues and our concerns on our own. Reaching out for help, having a support group is important. Have you met the children prior to them staying in your home? What types of help and support do you receive? Therapy! We both have learned so much about ourselves. We teach our kids we are all human and it’s OK to mess up. We aren’t perfect parents either but we gave birth to our five kids from our heart. Love is thicker than blood. What’s the most important thing you’d want people to know/understand about fostering? There are so many wonderful kids stuck in the system that are on a waiting list for a forever home. I hope our personal experience can help plant seeds in others hearts. Tessa Wesnitzer is a mom of two boys and a fitness coach. She lives and writes outside of Salt Lake City, Utah.